Trying to avoid the craziness of the Vegas Strip? The Grand Poker Series features 57 events this summer. The Golden Nugget's annual Grand Poker Series is back for a 10th edition in 2017. The series, which runs alongside the World Series of Poker and several other poker series during the summer in Las Vegas, runs from May 30 through July 3 with a total of 57 events. The Grand Poker Series is one of several lower-buy-in options available during this summer, with most tournaments ranging from $150 to $570. While the series features predominantly no-limit hold'em events, a handful of Omaha, stud and other mixed game tourneys are sprinkled in. This is considered one of the best tournament series for low-stakes tournament players and a great way to play poker while avoiding the craziness of the Las Vegas Strip. The biggest buy-in on the schedule is the $1,000 Seniors Super High Roller, presented by OKJ, on June 17. 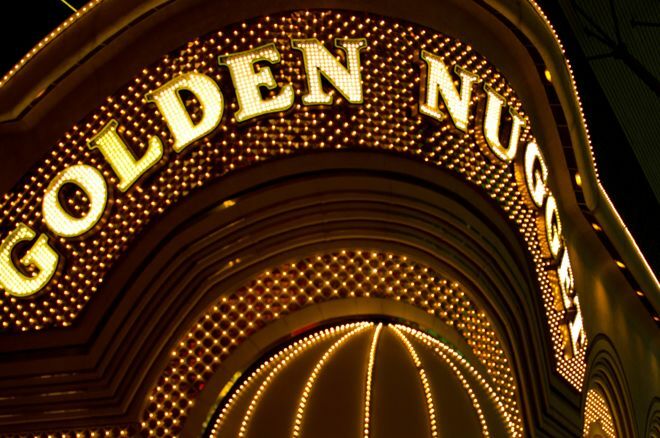 It's one of five Seniors events at the Golden Nugget running from June 15-20, and conveniently coincides with the Seniors events at the World Series of Poker on June 16 and June 18. The 2017 Grand Poker Series finishes strong with a No-Limit Hold'em $500K Guarantee from June 29-July 2. The $570 buy-in tournament feature three starting flights. Last year, Darrell Smith defeated Robert Stan heads-up to claim the title after the two made a deal that guaranteed more than $100,000 for each. Low buy-ins with big payouts! Here's the full schedule of the 2017 Grand Poker Series at the Golden Nugget in Las Vegas.